The housing needs of the multiple generations living today is changing the face of real estate and new construction. The way we used to live 20…30…40 years ago is not the way we live today … or will in the future. Each generation is demanding a different type of home and a new way of living in that home which then requires an updated floorplan, creating both challenges and opportunities in the real estate industry. Challenges such as needing different storage spaces, outdoor living spaces, working spaces, and public spaces are requiring us to look to the spaces that already exist and determine if renovation is possible, or we are looking to our builders to determine how to incorporate these into new floorplans, appropriate for the target demographic. Silent Generation: This generation doesn’t require large home in terms of square footage. Small square footage and one-level living is attractive to this generation as the less to maintain, the better. They are not into fancy finishes – they want practical, useable space with smart bathrooms (which include non-slip surfaces, easy-to-get-into bathtubs, walk-in showers rather than shower/bath combos, and safety bars). They also need space for a visiting family member or a temporary live-in caretaker/ medical care provider. This generation is more likely to renovate rather than relocate if possible due to their connection with their neighborhood and their neighbors. Baby Boomers: This generation is not living in their homes the same way they used to. As this generation moves from having an active family and work life into retirement, they are entertaining more, they want indoor/outdoor living spaces, and they want luxurious spaces with sumptuous spa-like bathrooms. They want to be visually captivated when they walk into their master bathroom with exquisite tile, high-end hard surface finishes, and jewelry-like hardware. They are not interested in formal living rooms and dining rooms anymore. Instead they want large open-style living with living rooms that spill outside to eating areas, fire pits, and Zen gardens. This is a generation who wants to enjoy their time at home. Their home is their entertainment. They also have practical space needs which include a separate space for returning children and older parents, especially if their plan is for parents to live with them long-term. This generation is buying some of the larger “McMansions”, not for the purpose of keeping up with the Joneses, but as a practical solution for offsetting their parent’s care costs by having their parents live with them. Many Baby Boomers plan to renovate their homes or a larger home with this goal in mind. Generation X: Is a practical, smart, efficient generation who wants housing that suits their social lifestyle needs. What this means is location is extremely important to them to be close to friends and amenities that they enjoy. This can include being close to a downtown hub they frequent or a park they hike and bike in. They are happy whether they are in a home or condo provided the location is right. “Location, location, location” couldn’t be more of a buzzword in Generation X housing needs. Many “Gen Xers” are working at least part of the time from home which means they need an appropriate space to do so. For the Generation X, it is not about the size of the home, it is about having the right- and efficient – spaces. This includes closet organizers, storage planning, and efficient kitchens. Generation X are not looking for the biggest house on the block and have no desire to keep up with the Joneses like their Baby Boomer parents did. Generation Y: This generation is getting married later in life, they are traveling more with their work, they are telecommuting, and they are on the go. They are a very creative, mobile group of people. Therefore, they are happy living in a condo, micro housing, or even a small suite in a house. The key for them is having the ability to move onto their next adventure without being held back by a large home, a large mortgage, or lots of physical stuff. Generation Ys are not afraid to move home with parents in order to save for a down payment in order to avoid a large mortgage payment when it does come time to buy. Efficiency is the key word when thinking of this generation – think cool, dorm-style living! This generation can make something extraordinary out of something small. 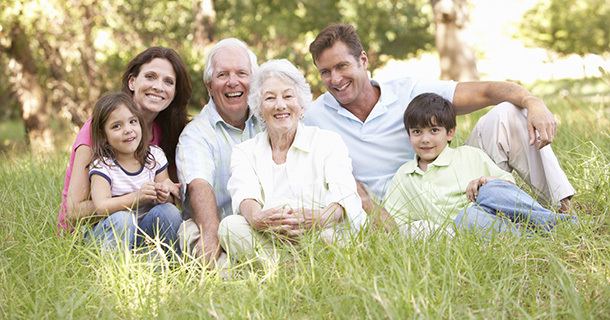 You may notice that three of the above generations are requiring space set aside for family members to live on a permanent or semi-permanent basis. The Silent Generation either needs a space in their home for a family member to stay for caretaking purposes or they may be living with their Baby Boomer children. Baby Boomers need spaces for both their parents and their Generation X and Y children (mostly Generation Y at this point) to live with them. Generation X are the generation currently least effected by multi-generation housing needs at this point, but are likely to follow their Baby Boomer parent’s example of needing spaces for both parents and boomerang children. Generation Y are currently the generation of needing someone to supply multi-generational housing to them. All of these generation needs and preferences mean that many of the communities we live in do not have enough one-level homes, micro housing, or homes suitable for renovation. Therefore, there are opportunities out there for builders, renovators, and even homeowners who are thinking of selling but cannot sell their larger home. As agents, if you are faced with the task of finding a specific-type of property that fits the needs of your buyer or if you are thinking of targeting a niche, I encourage each and every one of you to take a close look at the opportunities in your market. You may want to focus on one-level home – keep your eyes open for one-level product that sells for a shorter market time and for higher pricing due to demand. If you are in a market with a lot of larger homes that take a long time to sell, perhaps see if your market is likely to look twice at a “for sale renovation” which might include combining two smaller bedrooms into a second master suite, suitable for parents and returning children. Generational housing needs and the need for multiple generations to live under the same roof is already drastically changing the face of real estate. All of these changes add up to a very exciting floorplan facelift for the housing industry.